FREE Smiles Registration begins at 4A.M. 11/19/11. MUST SHOW UP AS EARLY AS MIDNIGHT THE NIGHT BEFORE TO BE AMONG THE FIRST 100 PATIENTS GUARANTEED TREATMENT! Marietta Family Dental Care is hosting their First Annual Free Dentistry Day for our East Cobb Community! Ages 18 and older can get free dental care Nov. 19 at Marietta Family Dental Care, 4720 Lower Roswell Road. Drs. Michael and Azita Mansouri, with help from volunteer hygienists, dental assistants and other professionals, will provide extractions, fillings and cleanings to the first 100 patients on a first-come, first-served basis. Care will be provided from 6:00 a.m. to 4 p.m. The effort, the first for the Mansouri practice, is part of a nationwide effort sponsored by Dentistry From the Heart, a non-profit organization that has been providing free dental work to the needy since 2001. Those who are not in the dentist’s chair will have to wait outside because the office isn’t big enough to accommodate everyone at once. While the dentists won’t likely be able to treat everyone who show up Saturday, Drs. Mansouri and staff will treat as many people as possible. Over the past four years, we have participated in similar events sponsored by other Organizations, Friends and Colleagues supporting these efforts. The Grand Opening of our Facility in May of this year has provided us with the opportunity to help people in our surrounding area. Other events have attracted hundreds of people, many camping out the night before the event to ensure a spot in the dentist’s chair. The cost of living today is forcing many, unfortunately, to cut back on expenses and, for many, this means trips to the dentist get delayed inevitably. Thankfully, there’s an organization meeting the needs of people who can’t afford these services. If you know someone who would benefit from their services, read on. Dentistry From The Heart (DFTH) is a national non-profit organization dedicated to providing free dental care to those who need it. Every year, individual dentists and practices across the country donate their time and resources to host their own DFTH events. How can I receive treatment at a Dentistry From The Heart event? At 4 am November 19th we are going to begin taking blood pressure and completing medical history for all patients that will receive treatment at this event. Dr. Mansouri REQUIRES that patients who need to premedicate for any health condition or are in need of blood pressure medications, take them (As directed by your physician) prior to when treatment starts at 6 am. It is imperative you have taken appropriate medications, such as elevated blood pressure or pre medication, before treatment. Lack of medicating WILL NOT allow us an opportunity to treat you. Can my children receive free dental care from Dentistry From The Heart? What dental care is provided at a Dentistry From The Heart Event? What if I need additional dental care? 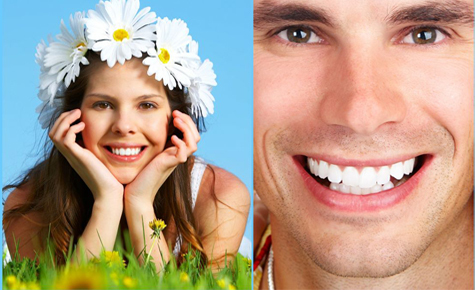 Dentistry From The Heart events are not able to provide for all manner of dental care services. However, we recommend that patients requiring additional treatment explore contact with regional free clinics in their area. You can usually get a list of these from your county offices. Another course of action is to contact dental schools in your state. To see a listing of dental schools by state, please visit http://en.wikipedia.org/wiki/List_of_dental_schools_in_the_United_States.